These rules may be called the Biological Diversity Rules, 2004. Thus shall come into force on 15 th April, 2004. "Chairperson" means the chairperson of the National Biodiversity Authority or as the case may be, of the State Biodiversity Board. "Secretary" means the full time Secretary of the Authority. The Chairperson of the Authority shall be appointed by the Central Government. Every appointment of Chairperson under sub-section (1) shall be made either on deputation basis or by selection from outside the Central Government. In case the appointment is through deputation, the applicant should not be below the rank of Additional Secretary to the Government of India. Provided that no Chairperson shall hold office as such after he attains the age of sixty five years or his term of office expires which is earlier. The Chairperson may resign from his office by giving at least one month notice in writing to the Central Government. A Chairperson shall be entitled to a fixed pay of Rs. 26,000/- per month. In case of retired person is appointed as Chairperson, his pay shall be fixed in accordance with the orders of the Central Government as applicable to such persons. .
A Chairperson shall be entitled to such allowances, leave, pension, provident fund, house and other perquisites etc. to be decided by the Central Government from time to time. Every non-official member of the Authority shall hold his office for a term not exceeding three years at a time from the date of publication of his appointment in the official Gazette. Every non-official member attending the meeting of the Authority shall be entitled to sitting allowance, travelling expenses, daily allowance and such other allowances as are applicable to non-official member of commissions and committees of the Central Government attending the meeting (s) of such Commissions or Committees. A non-official member of the Authority may resign his office at any time by giving in writing under his hand addressed to the Central Government and the seat of that member in the Authority shall become vacant. 8. Removal of the members of the Authority. No member of the Authority shall be removed from his office on any ground specified in section 11, without a due and proper enquiry by an officer not below the rank of a Secretary to the Government of India appointed by the Central Government and without giving such member a reasonable opportunity of being heard. The Authority shall appoint a Secretary to it. The terms and conditions of the appointment of the Secretary shall be determined by the Authority by regulation. The Secretary shall be responsible for co-coordinating and convening the meetings of the Authority, maintenance of the records of the proceedings of the Authority and such other matters as may be assigned to him by the Authority. The Authority shall meet at least four times in a year normally after a period of three months at the Head quarters of the Authority or at such place as may be decided by the Chairperson. The Chairperson shall, upon a written request from not less than five Members of the Authority or upon a direction of the Central Government, call a special meeting of the Authority. The members shall be given at least fifteen days' notice for holding an ordinary meeting and atleast three days' notice for holding a special meeting specifying the purpose, the time and the place at which such meeting is to be held. Every meeting shall be presided over by the Chairperson and in his absence, by a presiding officer to be elected by the members present from amongst themselves. The decision of the Authority at a meeting shall, if necessary, be taken by a simple majority of the Members present and voting and the Chairperson or in his absence, the Member presiding shall have a second or casting vote. The quorum at every meeting of the Authority shall be five. No Member shall be entitled to bring forward for the consideration of a meeting any matter of which he has not given ten days' notice unless the Chairperson in his discretion permits him to do so. Notice of the meeting may be given to the Members by delivering the same by messenger or sending it by registered post to his last known place of residence or business or in such other manner as the Secretary of the Authority may, in the circumstances of the case, think fit. The Authority may constitute any number of Committees for such purposes as it may deem fit consisting wholly of members or wholly of other persons or partly of members or partly of other persons. The members of the Committee other than the members of the Authority shall be paid such fees and allowances for attending the meetings as the Authority may deem fit. organise through mass media a comprehensive programme regarding conservation of biodiversity, sustainable use of its components and fair and equitable sharing of benefits arising out of the use of biological resource and knowledge. do such other functions as may be assigned or directed by the Central Government from time to time. The Chairperson shall have the overall control of the day- to -day activities of the Authority. Subject to the provisions of Section 10, the Chairperson shall have the powers of general superintendence over the officers and staff of the Authority and he may issue necessary directions for the conduct and management of the affairs of the Authority. The Chairperson shall be in charge of all the confidential papers and records of the Authority and shall be responsible for their safe custody. All orders and instructions to be issued by the Authority shall be under the signature of the Chairperson or of any other officer authorized by the Chairperson in this behalf. The Chairperson, either himself or through an officer of the authority authorized for the purpose, may sanction and disburse all payments against the approved budget. The Chairperson shall have full powers for granting administrative and technical sanction to all estimates. The Chairperson shall convene and preside over all the meetings of the Authority and shall ensure that all decisions taken by the Authority are implemented in proper manner. The Chairperson shall exercise such other powers and perform such other functions as may be delegated to him from time to time by the Authority or the Central Government. Any person seeking approval of the Authority for access to biological resources and associated knowledge for research or for commercial utilization shall make an application in Form I. Every application under sub-rule (1) shall be accompanied by a fee of ten thousand rupees in the form of a Cheque or demand draft drawn in favour of the Authority. The Authority shall after consultation with the concerned local bodies and collecting such additional information from the applicant and other sources, as it may deem necessary, dispose of the application, as far as possible, within a period of six months from the date of its receipts. On being satisfied with the merit of the application, the Authority may grant the approval for access to biological resources and associated knowledge subject to such term and conditions as it may deem fit to impose. The approval to access shall be in the form of a written agreement duly signed by an authorized officer of the Authority and the applicant. quantum of monetary and other incidental benefits. If need be, a commitment to enter into a fresh agreement particularly in case if the biological material is taken for research purposes and later on sought to be used for commercial purposes, and also in case of any other change in use thereof subsequently. independent enforceability of individual clauses, provision to the extent that obligations in benefit sharing clauses survive the termination of the agreement, events limiting liability (natural calamities), arbitration, any confidentiality clause. The conditions for access may specifically provide measures for conservation and protection of biological resources to which the access is being granted. The Authority may for reasons to be recorded in writing reject an application if it considers that the request cannot be acceded to. No application shall be rejected unless the applicant is given a reasonable opportunity of being heard. The Authority shall take steps to widely publicize the approvals granted, through print or electronic media and shall periodically monitor compliance of conditions on which the approval was accorded. The Authority shall send a copy of every order of revocation issued by it to the concerned State Biodiversity Board and the Biodiversity Management Committees for prohibiting the access and also to assess the damage, if any, caused and take steps to recover the damage. use of resources for purposes contrary to national interest and other related international agreements entered into by India . Any person desirous of transferring results of research relating to biological resources obtained from India for monetary consideration to foreign nationals, companies and Non Resident Indians (NRIs), shall make an application to the Authority in the Form II. Every application under sub-rule (i) shall be accompanied by a fee of five thousand rupees in the form of a Bank draft or Cheque drawn in favour of the Authority. Every application under sub-rule (i) shall be decided upon by the Authority, as far as possible within a period of three months from the receipt of the same. On being satisfied that the applicant has fulfilled all the requirements, the Authority may grant the approval for transferring the results of research subject to such terms and conditions as it may deem fit to impose in each case. The approval for transfer shall be granted in the form of a written agreement duly signed by an authorized officer of the Authority and the applicant. The form of the agreement shall be such as may be decided by the Authority. Provided that the application shall be rejected unless the applicant has been given a reasonable opportunity of being heard. Any person desirous of applying for a patent or any other intellectual property based on research on biological material and knowledge obtained from India shall make an application in Form III. Every application under sub-rule (1) shall be accompanied by paying a fee of five hundred rupees. On being satisfied that the applicant has fulfilled all the necessary requirements, the Authority may grant approval for applying for a patent or any other IPR subject to such terms and conditions as it may deem fit to impose in each case. The approval shall be granted in the form of a written agreement duly signed by an authorized officer of the Authority and the applicant. The form of the agreement may be decided by the Authority. The persons who have been granted approval for access to biological resources and associated knowledge, intend to transfer the accessed biological resource or knowledge to any other person or organization shall make an application to the Authority in Form IV. Every application under sub-rule (1) shall be accompanied by a fee of ten thousand rupees in the form of Bank draft or cheque drawn in favour of the Authority. The Authority shall after collecting any additional information, decide upon the application as far as possible within a period of six months of receipt of the same. On being satisfied that the applicant has fulfilled all the necessary requirements, the Authority may grant approval for third party transfer subject to such terms and conditions it may deem fit to impose in each case. The approval as may be granted under sub-rule (4) in the form of a written agreement duly signed by an authorized officer of the Authority and the applicant. The form of the agreement shall be such as may be decided by the Authority. The Authority may for reasons to be recorded in writing reject the application if it considers that the request cannot be acceded to provided that no application shall be rejected unless the applicant has been given an opportunity of being heard. The Authority shall by notification in the Official Gazette formulate the guidelines and describe the benefit sharing formula. The guidelines shall provide for monetary and other benefits such as royalty; joint ventures; technology transfer; product development; education and awareness raising activities; institutional capacity building and venture capital fund. The formula for benefit sharing shall be determined on a case-by case basis. The Authority while granting approval to any person for access or for transfer of results of research or applying for patent and IPR or for third party transfer of the accessed biological resource and associated knowledge may impose terms and conditions for ensuring equitable sharing of the benefits arising out of the use of accessed biological material and associated knowledge. The quantum of benefits shall be mutually agreed upon between the persons applying for such approval and the Authority in consultation with the local bodies and benefit claimers and may be decided in due regard to the defined parameters of access, the extent of use, the sustainability aspect, impact and expected outcome levels, including measures ensuring conservation and sustainable use of biological diversity. Depending upon each case, the Authority shall stipulate the time frame for assessing benefit sharing on short, medium, and long term benefits. The Authority shall stipulate that benefits shall ensure conservation and sustainable use of biological diversity. Where biological resources or knowledge is accessed from a specific individual or a group of individuals or organizations, the Authority may take steps to ensure that the agreed amount is paid directly to them through the district administration. Where such individuals or group of individuals or organizations cannot be identified, the monetary benefits shall be deposited in the National Biodiversity Fund. Five percent of the assessed benefits shall be earmarked for the Authority or Board as the case may be , towards administrative and service charges. The Authority shall monitor the flow of benefits as determined under sub rule (4) in a manner determined by it. The National Biodiversity Fund shall have two separate heads of accounts, one relating to the receipts from the Central Government and the other concerning the fee, licence fee, royalty and other receipts of the Authority. Every local body shall constitute a Biodiversity Management Committee (BMCs) within its area of jurisdiction. The Biodiversity Management Committee as constituted under sub-rule (1) shall consist of a Chairperson and not more than six persons nominated by the local body, of whom not less than one third should be women and not les than 18% should belong to the Scheduled Castes/Scheduled Tribes. The Chairperson of the Biodiversity Management Committee shall be elected from amongst the members of the committee in a meeting to be chaired by the Chairperson of the local body. The Chairperson of the local body shall have the casting votes in case of a tie . The Chairperson of the Biodiversity Management Committee shall have a tenure of three years. The main function of the BMC is to prepare People's Biodiversity Register in consultation with local people. The Register shall contain comprehensive information on availability and knowledge of local biological resources, their medicinal or any other use or any other traditional knowledge associated with them. The other functions of the BMC are to advise on any matter referred to it by the State Biodiversity Board or Authority for granting approval, to maintain data about the local vaids and practitioners using the biological resources. The Authority shall take steps to specify the form of the People's Biodiversity Registers, and the particulars it shall contain and the format for electronic database. The Authority and the State Biodiversity Boards shall provide guidance and technical support to the Biodiversity Management Committees for preparing People's Biodiversity Registers. The People's Biodiversity Registers shall be maintained and validated by the Biodiversity Management Committees. 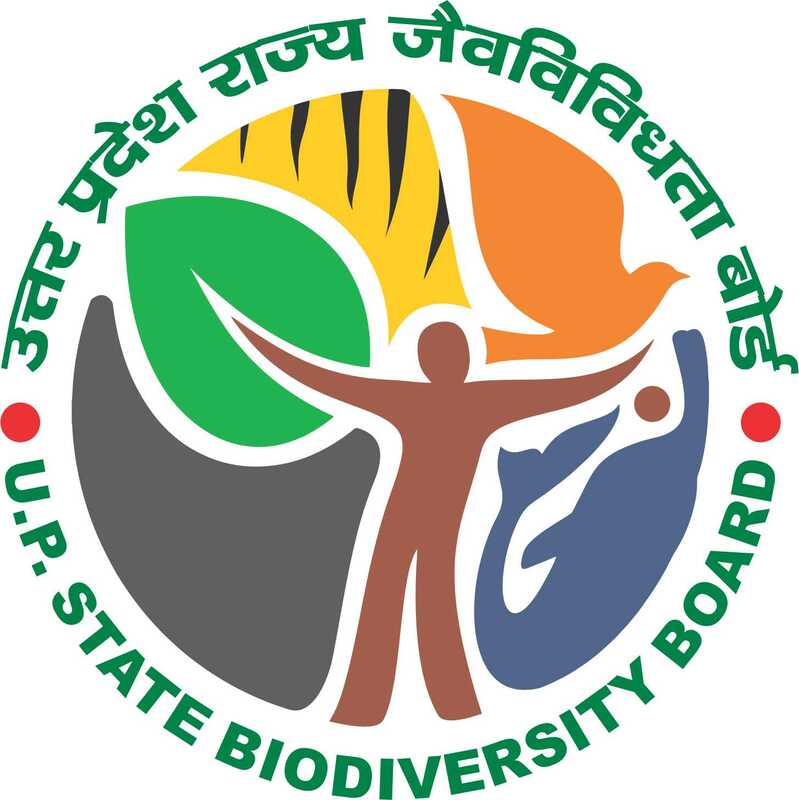 In case the dispute arises between a State Biodiversity Board and another State Biodiversity Board or Boards, the aggrieved Board or Boards, shall prefer the point or points of dispute to the Central Government which shall refer the same to the Authority. The memorandum of appeal shall state the facts of the case, the grounds relied upon by the appellant, for preferring the appeal and the relief sought for. The memorandum of appeal shall be accompanied by an authenticated copy of the order, direction or policy decision, as the case may be, by which the appellant is aggrieved and shall be duly signed by the authorised representative of the appellant. The memorandum of appeal shall be submitted in quadruplicate, either in person or through a registered post with Acknowledgement due, within 30 days from the date of the orders, direction or policy decision, impunged provided that if the Central Government is satisfied that there was good and sufficient reason for the delay in preferring the appeal, it may, for reason to be recorded in writing, allow the appeal to be preferred after the expiry of the aforesaid period of 30 days but before the expiry of 45 days from the date of the orders impugned, direction or policy decision, as the case may be. The notice for hearing of the appeal shall be given in Form VI by a registered post with an acknowledgement due. The Central Government shall, after hearing the appellant and the other parties, dispose of the appeal. In disposing of an appeal it may vary or modify or cancel impugned order, direction or policy, as the case may be. The notice shall be in writing in Form VII. (3) The period of thirty days mentioned in clause (b) of section 61 shall be reckoned from the date, the notice is received by the Authorities mentioned in sub-rule (1). 3. Details of any national institution which will participate in the Research and Development activities. 4. Primary destination of accessed resource and identity of the location where the R&D will be carried out. 8. Proposed mechanism and arrangements for benefit sharing. 9. Any other information considered relevant. I/we further declare the Information provided in the application form is true and correct and I /We shall be responsible for any incorrect / wrong information. Application for seeking prior approval of National Biodiversity Authority for transferring the results of research to foreign nationals, companies, NRI`s, for commercial purposes. 3. Details of the Biological resources and /or associated knowledge used in the research. 6. Details of institution where R&D activities carried out. 7. Details of the individual / organization to whom the research results are intend to transfer. 8. Details of economic, biotechnological, scientific or any other benefits that are intended, or may accrue to the individual /organization due to commercialization of transferred research results. 9. Details of economic, biotechnological, scientific or any other benefits that are intended, or may accrue to the applicant seeking approval for transfer of results of research. 10. Details of any agreement or MOU between by the proposed recipient and applicant seeking approval for transfer of results of research. I/we declare the Information provided in the application form is true and correct and I /We shall be responsible for any incorrect / wrong information. 3. Details of the Biological resources and /or associated knowledge used in the invention. 6. Details of institution where Research and Development activities carried out. 7. Details of economic, biotechnological, scientific or any other benefits that are intended, or may accrue to the applicant due commercialization of the invention. Application form for seeking approval of National Biodiversity Authority for third party transfer of the accessed Biological resources and associated traditional knowledge. 2. Details of the biological material and traditional knowledge accessed. 4. Details of the benefits and mechanism / arrangements for benefit sharing already implemented. 5. Full particulars of the third part to whom the accessed material / knowledge is intended to transfer. 6. The purpose of the intended third party transfer. 7. Details of economic, social, biotechnological, scientific or any other benefits that are intended, or may accrue to the third party due to transfer of accessed biological material and knowledge. 8. Details of any agreement to be entered between the applicant and the third party. 10. Proposed mechanism and arrangements for benefit sharing arising out of the proposed third party transfer. The appellant begs to prefer this Memorandum of Appeal against the order dated _________ passed by the Respondent on the following facts and grounds. a) In the light of what is stated above, the appellant respectfully prays that the order/decision of the respondent be quashed/set-aside . I , the appellant do hereby declare that what is stated above is true to the best of my information and belief . Enclosures: 1. Authenticated copy of the order/direction/policy decision, against which the appeal has been preferred. Please take notice that the above appeal filed by the appellant, against the order/direction/policy decision (give details) is fixed for hearing on _________ at ________. The copies of the appeal memorandum and other annexure filed alongwith the appeal are sent herewith for your reference. Please note that if you fails to appear on the said date or other subsequent date of hearing of the appeal, the appeal would be disposed of finally by placing you ex-parte. Sub: NOTICE UNDER SECTION 61(b) OF THE BIOLOGICAL DIVERSITY ACT, 2002. I/we hereby give notice of 30 days under Section 61(b) of the Biological Diversity Act, 2002 of my /our intention to file a complaint in the Court against _______________________for violation of the provisions of the Biological Diversity Act, 2002. In support of my/our notice , I am/we are enclosing herewith the following documents as evidence of proof. In case the notice to be given in the name of a company, documentary evidence authorising the person to sign the notice on behalf of the company shall be enclosed to the notice. Give the name and address of the alleged offender. In case of using biological resource/ knowledge/research/bio-survey and bio utilisation /the intellectual property right /patent , without the approval of the Authority, the details thereof and the commercial utilisation if any, may be furnished. Documentary evidence shall include photograph, technical report etc. for enabling enquiry into the alleged violation/offence.